Earl Weaver would be proud, nothing but strikeouts and 3 run homers. It’s hard to get to .550 OPS sporting a .146 BA. That’s Rob Deer-esque. Too bad HRs don’t affect his BABIP, poor kid. Speaking of guys hitting in the .140s that can sock it occasionally…. Senor Pujols. Somewhere, in the distance, you can hear the sound of James Paxton fist-pumping. Bottom of the first, and I can already tell we’re in for a real pitchers’ duel. I thought Martin wasn’t supposed to be a power hitter? Marte is having himself a nice day so far! I think two doubles for Marte is my favorite bit of hitting for the day– he had looked horribly lost a week ago. 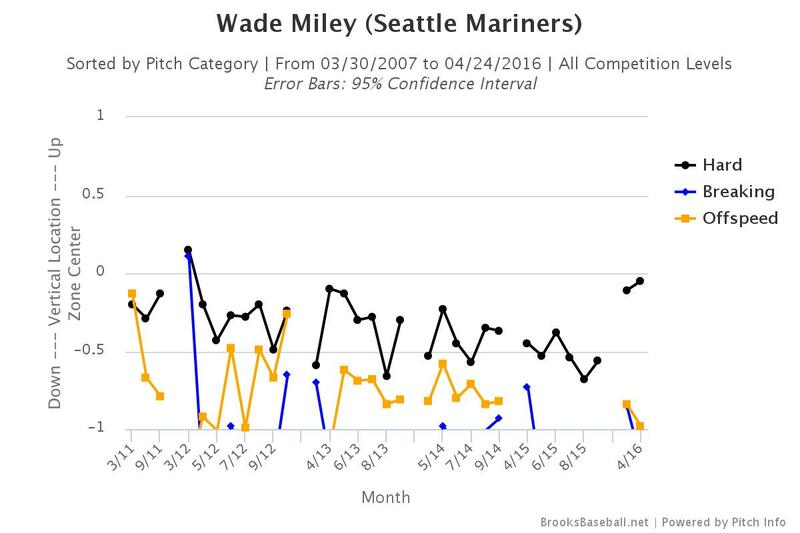 Miley crawling his way though 6 innings is another unexpected (and welcome!) surprise. West – maybe Martin’s the first in a long line of hitters who will come to Safeco to rejuvenate their careers. Maybe! Its fun having the lead! I just feel like once the Mariners get some type of lead,they have a habit at getting them selves out really quickly, like 1-3 pitches per batter. It would be nice to try to add a little to this lead. The M’s should be swinging early in the count, both Alverez and Rasmus are pounding the zone. They were patient with Shoemaker 3 walks in 3+ innings then they punished him when he came in the zone. Now that you’ve gotten to the bullpen patience is no longer a virtue. They’ve only struck out once since Shoemaker left so they are making contact. So a post-game giveaway of bags of Cedar Grove compost is an actual upcoming Mariners’ promotion? Seriously? A friend of mine has a shelf full of Mariners’ give-aways… I’m looking forward to seeing a bag of compost join the collection. Seth Smith has also been looking good so far this season! Woo Hoo! 6-3 road trip! Solid road trip, now the real trick is seeing if they can solve the Safeco woes when they get home. It’s also nice to see Smith healthy enough to play RF so Cruz can play his natural position. For a team that has had very little go right, it’s pretty stellar to not only be .500, but only half a game out of the division lead. Nine and nine for the local Nine, nine names to WP’s…Promising start for the M’s this season. Evan with three relievers on the DL, the Bullpen is above average, as is the fielding, and hitting (compared to last year’s M’s ).